THIS IS NOT COVERAGE of the TomTom case against Microsoft (countersuit) but rather, this is a quick sampling of early coverage. A closer look will come later. Here is the official filing [PDF] which contains all the details. The most cited article about this appears to be from CNET. TomTom has responded to Microsoft’s patent suit by filing a patent claim of its own against the software maker. 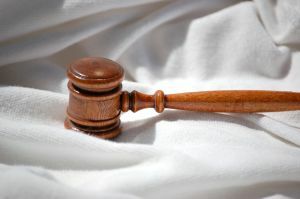 The GPS device maker, based in the Netherlands, filed the countersuit in the U.S. District Court for the Eastern District of Virginia on Thursday. Pamela Jones adds some fantastic details. Can you believe it? This is so great!! Morrison & Foerster are representing TomTom in a new patent infringement lawsuit TomTom has just filed against Microsoft! I love covering their cases. Patent law is usually soooo boring to me, but these guys will keep me awake, and no doubt if I pay attention, I’ll learn a lot. Todd Bishop covered this also and Tectonic mentioned it briefly. This development is a very important one because, as Tim from TechDirt (among other good sites) has put it, TomTom is entangled, so inevitably it also fights for the GNU GPL. This creates a problem for a company like Microsoft that wants to extract licensing revenues from firms distributing GPLed software. Ordinarily, a patent holder sues in the hope that it will be able to get a quick settlement and a nice revenue stream from patent royalties. But the vendor of GPLed software can’t settle. And if the patent holder wins the lawsuit, the defendant will be forced to stop distributing the software, depriving the patent holder of an ongoing revenue stream. Either way, the trial will generate a ton of bad publicity for the patent holder. The only comment on a recent article from IDG is suggesting that Microsoft is a patent troll. A great deal of these look like they’ve been invented before. Prior art shouldn’t be hard to prove on many of these. Every PC programmer thinks he’s invented it first, not knowing that they were been doing it years ago in the mainframe world. So the Patent Office gives M’soft the patents because it needs the money, but, I believe that most of them won’t hold up in court. Especially as I’ve written some of these myself, years ago! “Patent troll” is not an ideal label for Microsoft, but the company does support and foster the world's biggest patent troll and according to Arno Edelmann, Microsoft’s European business security product manager, “usually Microsoft doesn’t develop products, we buy products.” This means that developing products is not Microsoft’s specialty. That has a trollish ring to it and patent deals like the latest one with Lexmark seem to agree. Lexmark is a recent victim of Acacia and Lexmark actually opposed OOXML.